"It doesn’t get hotter than this! 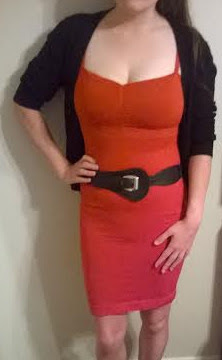 This little red body-con dress can be worn on it's own, layered as part of an outfit, or instead of traditional shapewear. 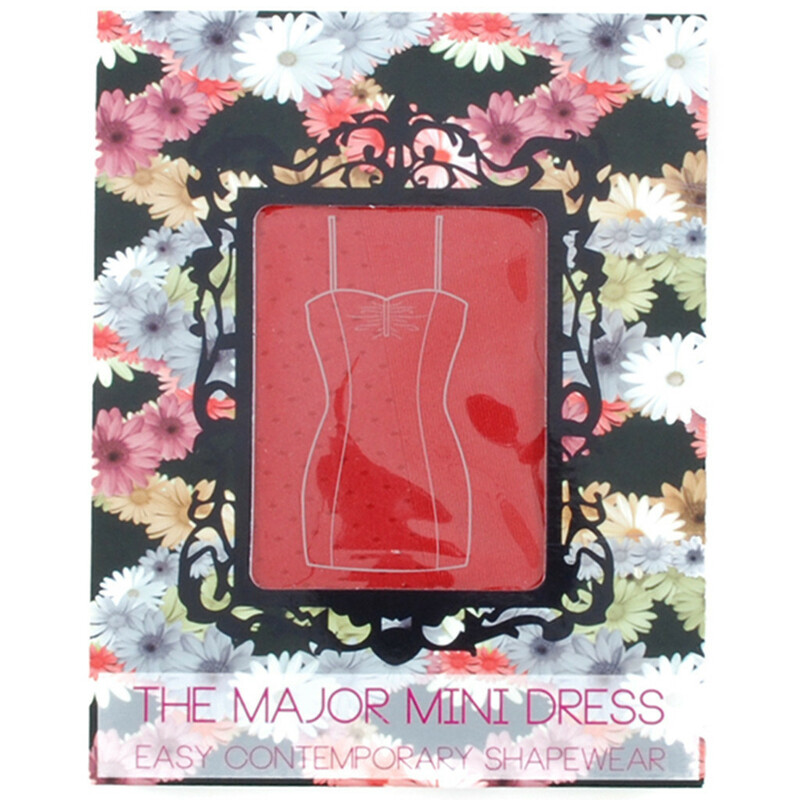 The Major Mini Dress is designed to be comfy and supportive, smoothing your silhouette without compressing you down to a smaller size – it's the first body positive shapewear minidress! Removable, adjustable straps -Removable foam cups - Built-in bra"
A lightweight cardigan, and a matching chunky black belt to accentuate my figure! One of my favorite things about this dress is that there's no need to wear a bra, the padded inserts provide coverage and the band under the bust provides support. The dress is very forgiving and looks great on every figure... you will find girls of all sizes featured on the Jewel Toned website! Overall I am very impressed with the quality of this dress and love how versatile and easy to style it is.